Style: Without Property "Gas Stations"
Profitable *Esso** Gas Station With Franchises: Countryside Self/Serve, Yogen Fruz, Convinience Store. Land Is Not For Sale. 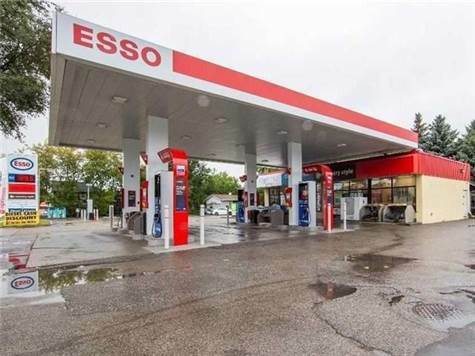 Double Wall Fiberglass Tanks.Volume 3.6 Million Litres, Lots Of Potential.Open 24/7.Long Lease To Esso.Great Location, Close To 401 And Dundas St.
▪ Area Influences: Major Highway, Public Transit ▪ Fixtures And Chattels According To The Vendors List.